Ebooks are increasingly becoming an important part of a book's overall profitability. But back when Penguin acquired the James Bond books, digital rights were not a major consideration, and Penguin did not contract them. 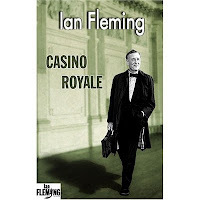 This was an understandable oversight at the time, but one they are probably regretting now, as the author's estate will be releasing the book versions of the classic James Bond novels themselves under the imprint of Ian Fleming Publications. No doubt an new contracts offered by publishers will lock down digital rights, but there is a window of opportunity for authors with a backlist to increase their own profit margin by exploiting e-rights themselves.